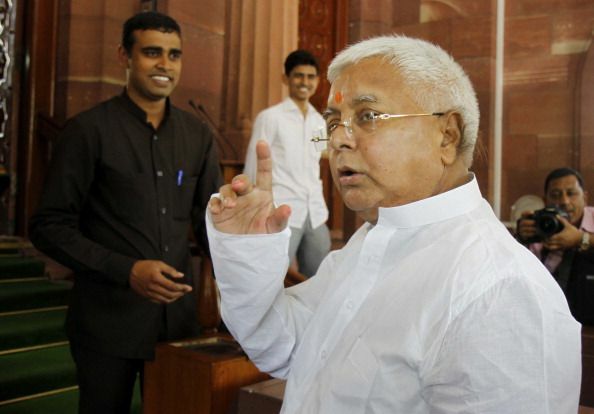 Politicians have started taking a dig at each other ahead of the Bihar assembly polls. After Prime Minister Narendra Modi had taken a dig at Lalu by calling his political party RJD as 'Rojana Jungle Raaj Ka Darr' and Nitish's JDU as 'Janta Ka Daman aur Utpidan' the trio can often been seen commenting on each other. On 18 August while addressing a rally in Arrah, Bihar PM Modi had announced a special package of 1.25 lakh crore for Bihar. Later in a rally in Patna former Bihar CM Lalu Yadav in a hilarious way took a dig on PM Modi's way of announcing the package and his supporters.